The blow-dryer in this heat? I think not. Leave it to EVOLVh leave in conditioner to make the “I’ll be ready in 10” statement your reality. I comb my hair with a wide combed brush, spritz this miracle juice in my towel dried locks, and I’m on way. 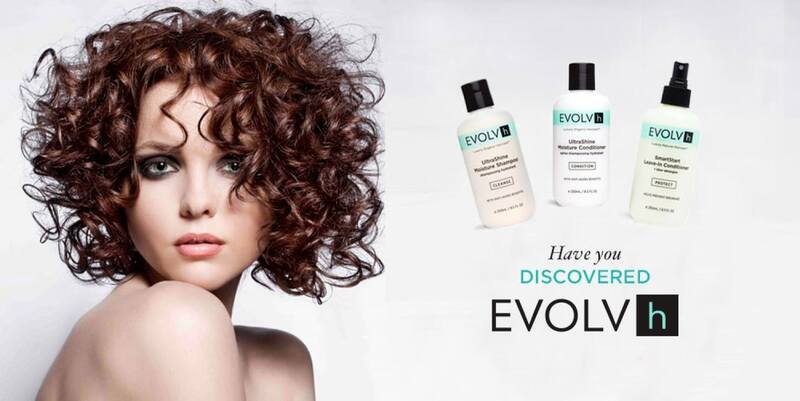 EVOLVh leave in conditioner has a lightweight consistency that doesn’t weigh down your hair or make it sticky. If you are brave enough to endure the blow drier though–or have the patience–spray it on beforehand and it will protect your lovely locks from the heat. This stuff smells absolutely incredible. Made up of raw coconut extracts, it’s like juicing for you hair. I’ll spray it on my dry hair during the day for a quick pick-me-up, and it does not leave my hair looking greasy or give it that sticky feel. It’s my daily vitamin dose of hydration for my hair. Leave this in overnight, and you will wake up with moisturized, lightweight, nourished locks. My fine, frizzy hair has renewed itself. Why we really love it though? This product is safe. I spray this on knowing it’s not only making my hair look good momentarily awesome, but also protecting my hair from future breakage, without all the added nonsense. Free of parabens, sulfates and gluten. Sign me up.